Really, this experience - it's like a real dream! Unique and unforgettable few days that really "shake you off" - bringing you back to the younger you. Superb! Who knew our experience would be so life-changing? Santhosh is the perfect combination of learning a new skill in dancing, looking after yourself with yoga and healthy meals and enjoying the company of like-minded souls. Santhosh means happiness in Sanskrit. Our luxury health and fitness retreats offer a combination of dance, pilates, yoga and hiking, along with delicious and nutritious chef-prepared food. Relaxing massages and a good dose of laughter and fun are also included in the daily menu - after all, we want to live up to our name! ...and all this in some of the most beautiful locations on Earth. 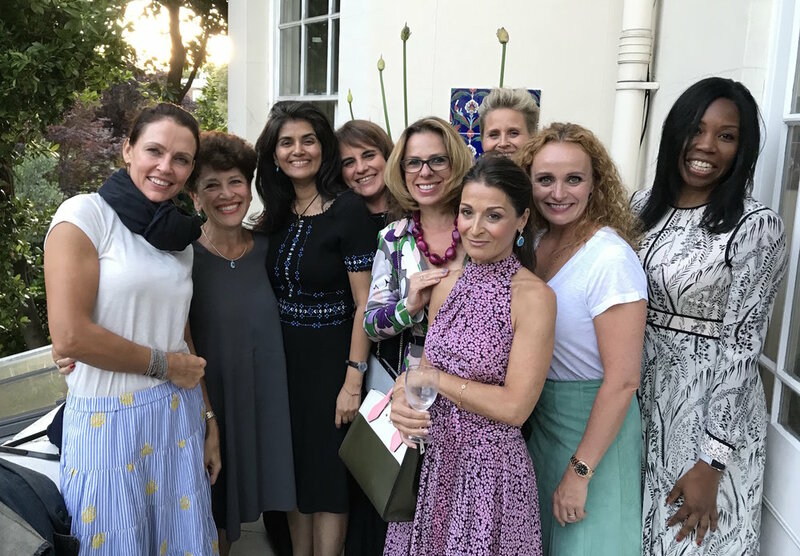 A look back at the fun times we had in 2018 at our London dance classes, Ibiza retreats and London parties. Can’t wait to create more happy memories in 2019! in Ibiza in September 2017.
thrown a life-line to get me on the road of rediscovering my identity as an individual. For further information please email us here. We love seeing our guests blown away by the breathtaking views of Casa la Vista, our luxury villa on the Northern coast of Ibiza. Sitting on the dramatic cliff tops of the North coast, and with serene views of the Mediterranean Sea; our villa makes the perfect backdrop for our rejuvenating retreat. Boasting traditional Ibizan décor with a modern twist, the villa includes direct access to a private beach, a large infinity swimming pool and several courtyard gardens, all set within its privately-owned 30 acres of fragrant pine forest.